We have selected some of the strongest academic research regarding interventions to address and prevent mental health discrimination and stigma at work. All studies have been published in peer-reviewed journals and are presented under three headings: Organisational Interventions, Manager Interventions and Individual Interventions. There has been a lot of research into preventing mental health discrimination in the public, but a lot less research exists that focuses specifically on the workplace. Campaigns such as Time to Change have been very popular and research suggests they have positive effects. Mental Health First Aid is one of the leading interventions to tackle stigma and consists of a 12 hour 2 day training programme which aims to educate the public about how to react to individuals who are either suffering from a mental health crisis or are experiencing the development of a mental health problem. This section only provides academic evidence relevant to discrimination and stigma around mental health. Academic evidence relating to Common Mental Problems is provided in a separate topic within the Hub, for more information on ‘Common Mental Health Problems’, please click here. Some of the strongest practitioner evidence regarding interventions to prevent and address mental health discrimination and stigma at work has been summarised below. These are empirical studies or work of publishable quality. There has been a lot of research into preventing mental health discrimination in the public, but a lot less research exists that focuses specifically on the workplace. Campaigns such as Time to Change have been very popular and research suggests they have positive effects. This section only provides practitioner evidence relevant to discrimination and stigma around mental health. Practitioner evidence relating to Common Mental Health problems is provided in a separate topic within the Hub, for more information on ‘Common Mental Health Problems’, please click here. These guidance documents and tools have been designed to inform employees about mental health discrimination and stigma and to support those who might be experiencing it. This section only provides guidance and tools relevant to discrimination and stigma around mental health. Guidance and tools on Common Mental Health problems are provided in a separate topic within the Hub, for more information on ‘Common Mental Health Problems’, please click here. These guidance documents and tools have been designed to help managers and leaders address and prevent mental health discrimination and stigma at work. 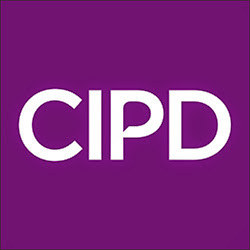 These resources have been developed to help practitioners take an organisational approach to preventing and addressing mental health discrimination and stigma in the workplace. Documents that relate to national policy implications are provided below. These resources are aimed at helping organisations to implement national policies specific to addressing and preventing mental health discrimination at work. This section only provides documents that relate to national policy implications that are relevant to discrimination and stigma around mental health. Documents that relate to national policy implications regarding Common Mental Health problems are provided in a separate topic within the Hub, for more information on ‘Common Mental Health Problems’, please click here.